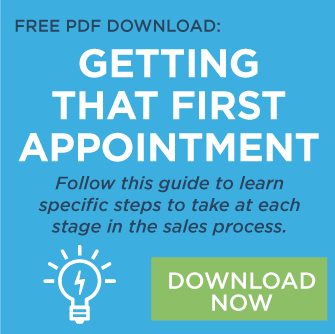 Once you have an appointment with a strong prospect, it’s time to prepare for a successful needs analysis so all the effort you spent getting the appointment isn’t wasted. 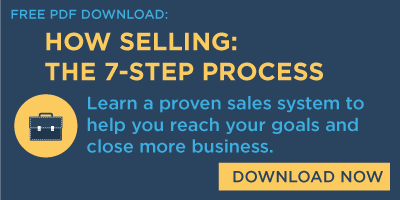 You want to make sure that you have a strong and thorough needs analysis—because understanding your prospect's business, specific needs, challenges, and expectations is essential to developing a solution that will achieve results. Do your homework. Visit their website on your desktop and a mobile device, check out their social media presence, and search for their products and services online to see where they come up in the organic and paid results. Know the answers to the easy questions before you get there, so you don’t spend time asking questions that can easily be found on their site. This will also show the prospect that you spent time learning about their business before your call. Ask questions that uncover their complete digital strategy. Simply asking about their digital strategy is not enough—you need to dig deeper. Ask about the goals they have for their website, how potential consumers find their website, what they want consumers to do once they get to their website, and how they are using their digital capabilities to help consumers find their business. Once you have a general understanding of their challenges, dig deeper to get more detail. Understand their challenges and which need is the most pressing today. Learn more about their heavy user—who are they, where they live, what they like to do, what criteria they use to make decisions, and why they choose your client over the competition. Discuss goals and expectations. Know how they will measure success—and get specific. Make sure that both of you are on the same page regarding what they want to accomplish with their campaign and the how any solution you develop in response to their challenges will be measured. If their expectations are unrealistic, challenge them, and set the right expectations before the campaign begins. Develop a solution. Work with the prospect to develop an idea that gets them excited. Once you have the idea, consider which of your digital capabilities will best bring it to life and achieve the results that your prospect expects.